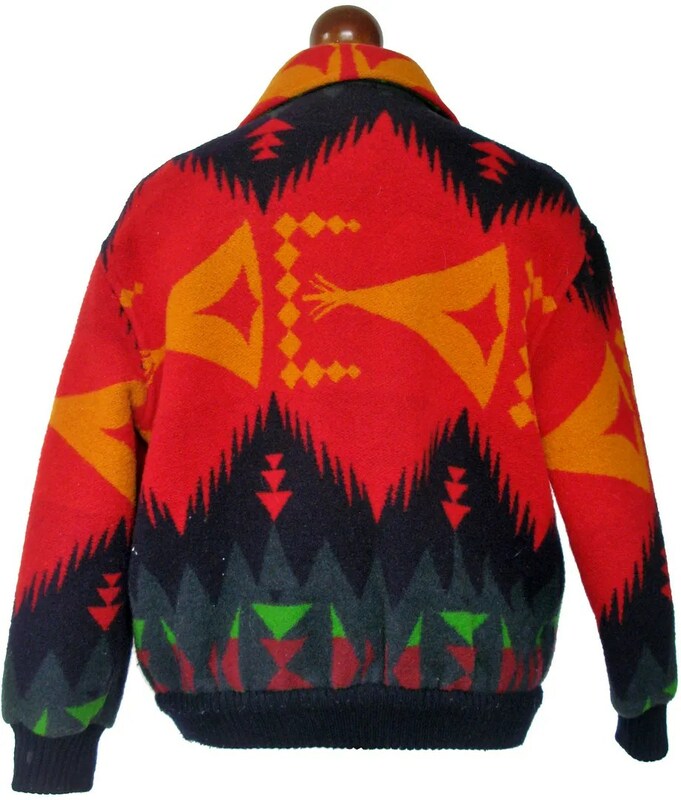 This vintage jacket is made of teepee and geometric patterned blanket material, in a bomber jacket cut. It has a zip front and knit cuffs and waistband. 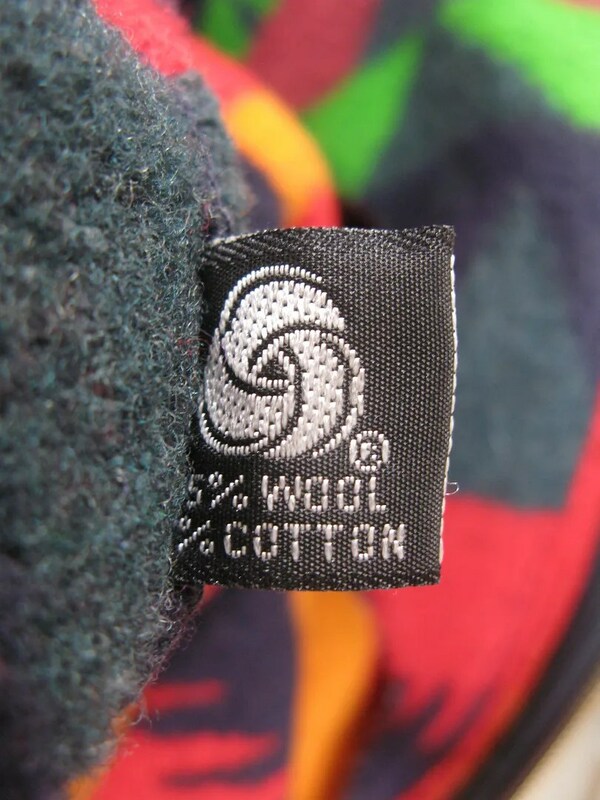 The blanket material is tagged as an 85% wool, 15% cotton bled. 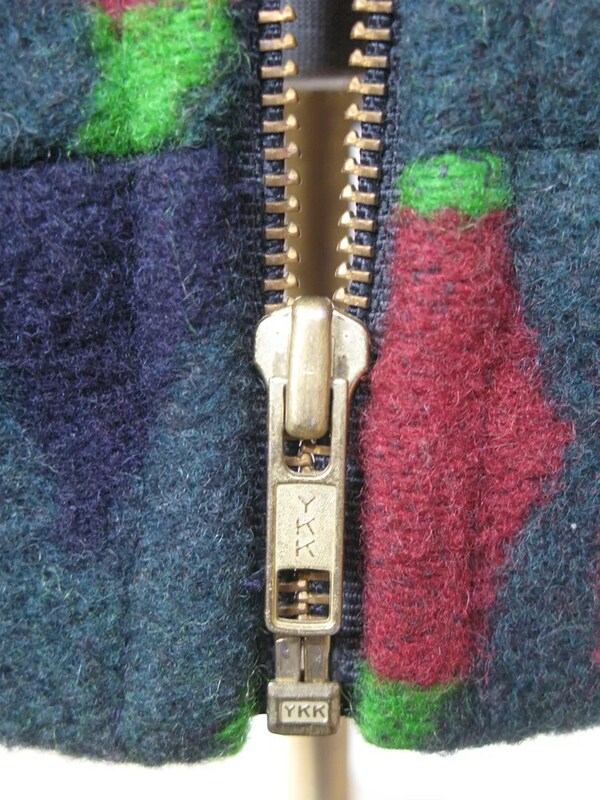 the jacket is unlined, and the main zipper is a YKK brand. 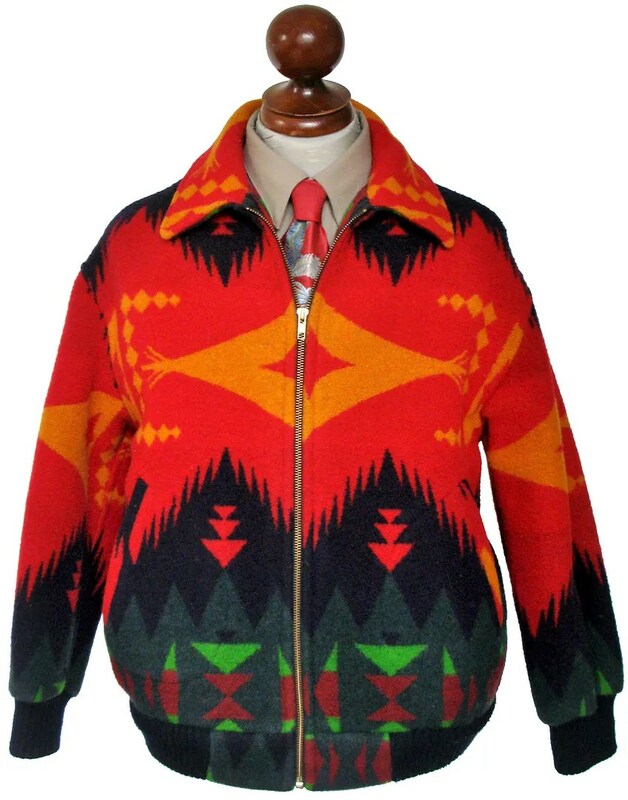 This entry was posted in Jackets and tagged blanket, clothing, fashion, Indian blanket, jacket, mens, Native American, Pendleton, style, trade blanket, vintage, western by Spencer Stewart. Bookmark the permalink.